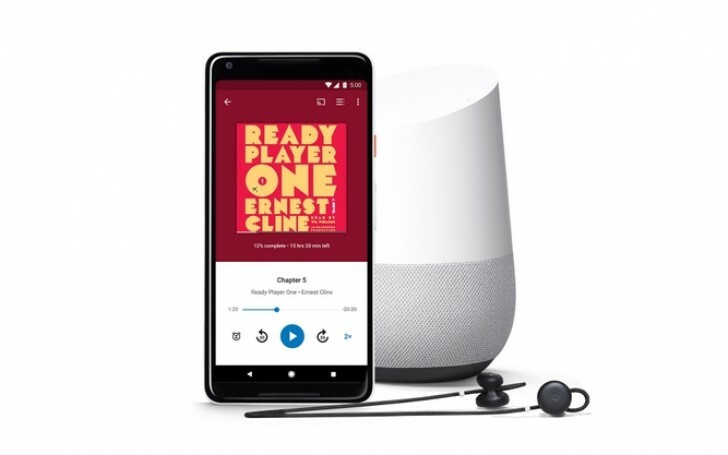 If you are into reading, Audiobooks have gained some attention over the years and years of simply having ebooks, Google today announced that it is adding audiobooks to the Google Play Store. Audiobooks will be available in 45 countries and in nine different languages. Just like the ebooks, the audiobooks will be available à la carte with no subscription service like on Audible. Once purchased, the book will be available to listen across all Google platforms, including the web, Google Play Books app on Android and iOS, Chromecast, Google Home, Android Wear and Android Auto. Google is also offering discounts on popular titles like Ready Player One, which is now priced at $6.99, and Astrophysics for People in a Hurry, which now costs $7.77. Audiobooks fall under the media that can be shared through Google’s “Family Library” feature, too, so multiple users under the same family designation can enjoy the audiobook if they want on their own time. The company is also announcing that Google Assistant works with audiobooks as well. Just say, “Okay, Google, read my book,” and the Assistant will start off right were you left off, or start from the beginning if you haven’t started yet. Google Assistant support is only in English for now, and Google says that audiobook support with Assistant is coming soon to Android Auto in the United States. Google Play Audiobooks supports syncing across devices, so you can pick up where you left off on multiple devices. It also supports reading at 2x speed, and sleep timers. It supports iOS, Android, and the web. As mentioned above, Google Play Audiobooks is launching today in 45 countries with support of nine languages.